A pediatrician warns that climate change is worsening allergies and air pollution, raising the risks for kids with asthma. 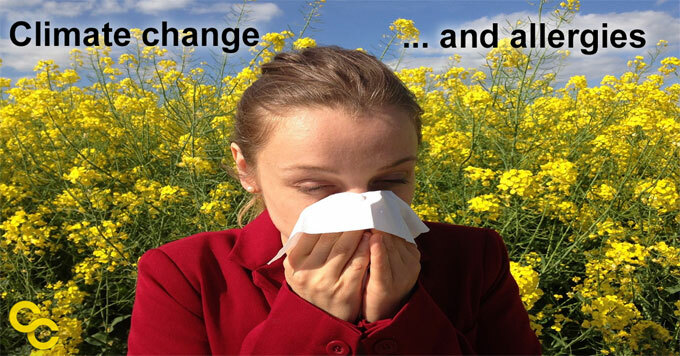 Allergies and asthma are on the rise. And global warming is making the problem worse – especially for kids. Jennifer Caicedo, a pediatric asthma and allergy specialist in North Carolina, wants to help parents understand why their kids are getting sick. She says climate change is causing longer allergy seasons and increasing ground-level ozone. That, along with other air pollutants, can trigger asthma attacks. Young children’s developing immune systems are especially vulnerable to high-ozone days and high levels of allergens in the air. So Caicedo suggests parents keep their kids inside when local forecasts show especially high pollen levels or poor air quality. She also encourages families to act on climate change – for example, by driving less or using energy-efficient lightbulbs. Parents might not expect to hear these kinds of tips from a doctor, but Caicedo says her patients’ families are usually receptive to learning that climate change is a health issue.